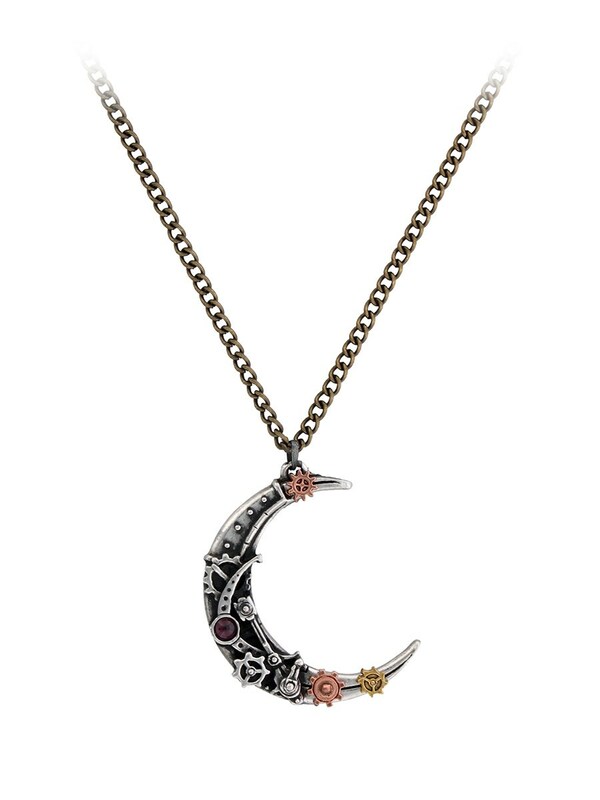 Inspired by the Victorian era’s unfamiliarity towards the moon, this stunning pendant sees a crescent moon built from mechanical cogs, and finished with a small dark red glass gem stone. 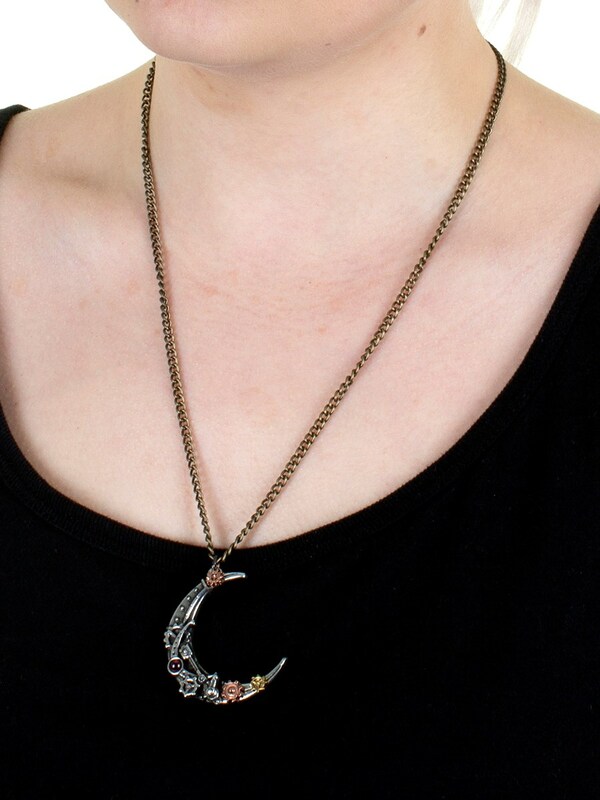 A beautiful steam punk accessory, this antique style necklace will complete any alternative outfit! 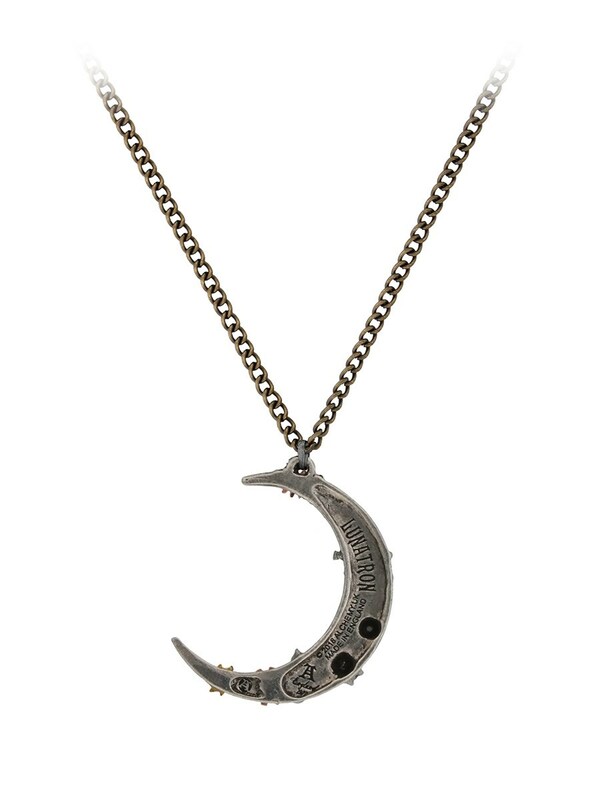 On an antique brass plated 21" (53cm) curb chain.